Our girl is 2 years old today!!! Merry Christmas from Bashira family!!! 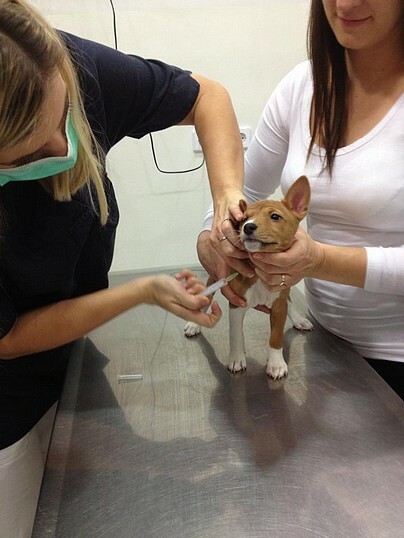 We were at the vet for first vaccination and microchip. Puppies were very brave ! Now they are sleeping tight. Thank you Antonija for your help! Bashira kennel team of 22 October has a new member! 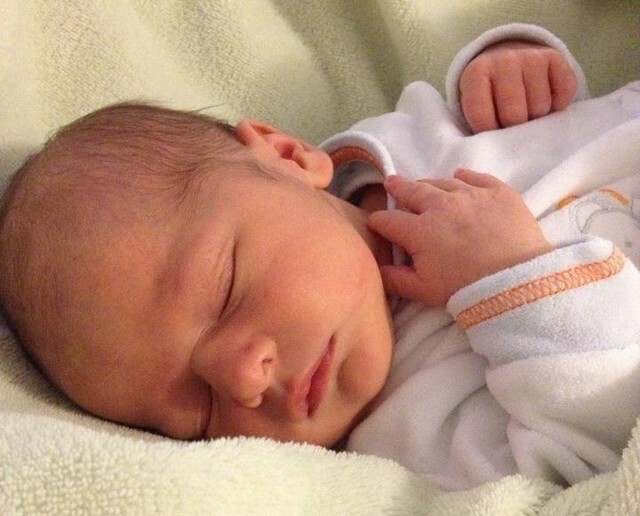 22 October 2012th Toma Šimunec was born! Asali gave birth to 4 males and 1 female! 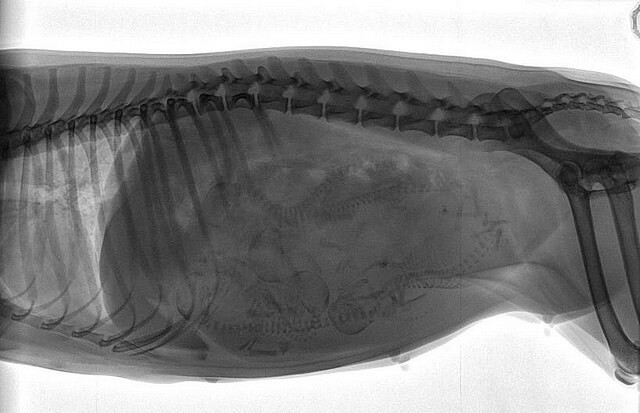 We expected 5 puppies soon. We were on the set for the television show "Home Pets" !!! 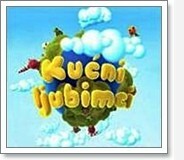 The show will be broadcast on Sutarday, 29.09.2012. at 10:10 AM on HTV, first channel. Excellent, Best Junior, JBOB, BOB and BOG1 !!! 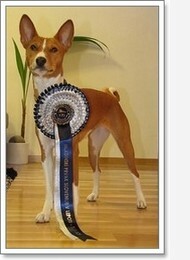 First time in Junior Class on national dog show. We saw 5 pupies at least. After 4 days in Germany, 30:15 hours in the car and 2650 kilometers we finally can announce that our Olabisi Chinali Asali has mated with beautiful boy C-Quest Jokuba Dandy Shandy. Thank you Noel Baaser for all your help, everything you've done for us and for making this breeding possible. The progesterone results from vet in Köln - 36,6ng ! 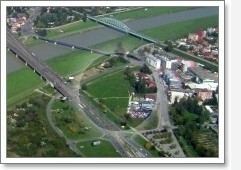 Today progesterone level was 3.25ng sowe are heading to Aachen tomorrow early in the morning. Hopefully they will mate successfully ! Asali's progesterone level today was 0,45ng. We hope it will continue to grow and that will be ready 6 day from now ! We will retest her on Thursday. Asali has obviously decided to surprise us ... yesterday she start the heat !!! I'm very proud of our princess ! Asali and Dexter ~ First lure coursing in Ljubljana. CACIB Varaždin ~ Suntribe's Above The Horizon "Dexter", his 1st show ~ BIS BABY !!! We are so happy and proud ! 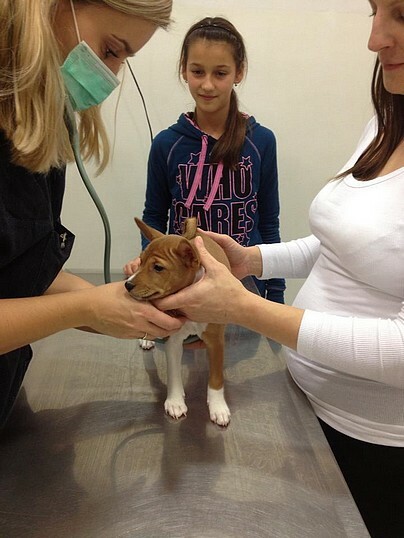 After a month of preparation and planning our second Basenji, male Sutribe's Above the Horizon name "Dexter" has finally arrived in Zagreb! Dexter comes from Sweden Suntirbe's Empire kennel, owned by Elisabeth Wannerbo, and is jointly owned with our dear friend Tisa Novak from Slovenia, kennel Anansi. Dexter will live with us and with our Olabisi Chinua Asali - "Asali" and hope that he will develop into a very perspective male in this part of Europe. 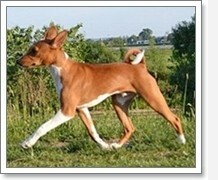 We consider him very important in our breeding plans for Bashira and Anansi kennel. More about Dexter can be seen on his webpage. 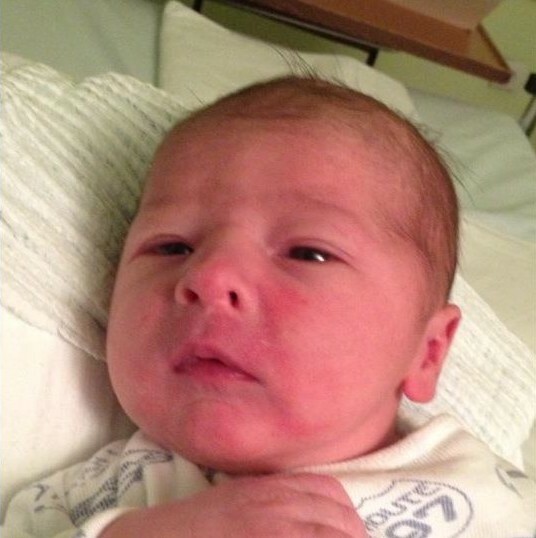 The whole story of how we managed to get exactly this male is quite amazing, and we like to think that this has to be fate. 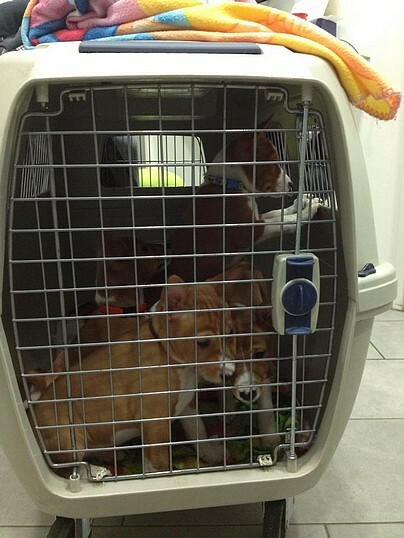 It was very difficult to organize Dexter's arrival in Croatia and we would like to take this opportunity once again to thank special friends – Tisa Novak and Pavle Dolinšek who went on the road on Wednesday, 03.05. 2012th, in very early morning hours (1 AM) so they could come on time to Vienna airport. Tisa, in these 3 days in Sweden had very little sleep since she had return on Saturday/Sunday from Motala to Stockholm and traveled all night. Upon arrival in Vienna Tisa and Paul headed straight to Croatia so that her travel lasted more than 12 hours! A big thank goes to Michelle Oljemark ~ Sundevils Baseniji for all the advices and the organization, Linda Ekman for help with transportation and of course Elisabeth Wennerbo for the wonderful hospitality, help with vaccinations, documentation, and Dexter of course! Without you all this would not have been possible! Dexter quickly find his way in the new environment and our family. 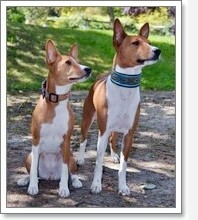 It is a special feeling to have two Basenjis in the house and it's hard to imagine that before it was only Asali. 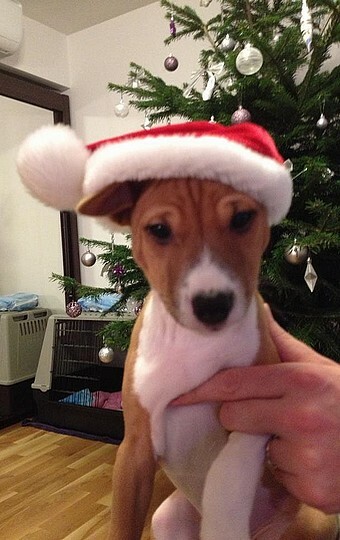 Dexter is a wonderful boy, very attached to all family members. He loves to cuddle and be close to us in every moment. He is very quiet and calm dog. 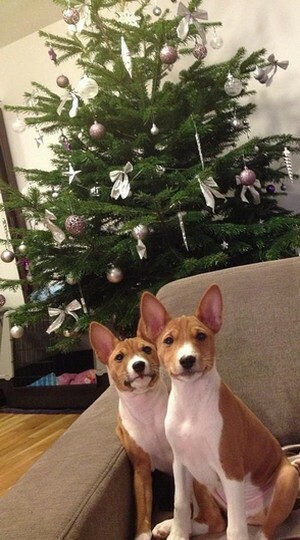 Thanks to the first Tisa’s litter and wonderful friends who have become owners of Anansi puppies here in Zagreb, I can proudly say that Dexter and Asali are very happy Basenji because they have the opportunity at least once a week to socialize with other four Basenji nearby river Sava. All images can be viewed in the Gallery or Facebook page. Find more details from the Show here. 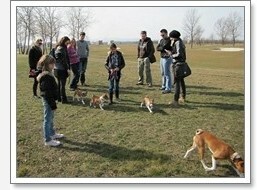 On Saturday March the 17th 2012 on the parking lot at Getro Novi Zagreb, organized by Mr. Antun Ponos was held a Dog Revue. They have invited all dogs (mixed breeds, dogs with no pedigree and purebred dogs). Assessment dog upon entering the exhibition space was a descriptive character, and it marks the NICE, LOVELY, BEAUTIFUL and ASTONISHING. Descriptions had different points that were tallied at the end and so they get the first three dogs in a specific category. 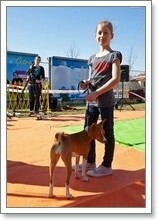 Asali and our youngest daughter Katija won third place in the category of pedigree dogs! The girls performed fantastically, and Katija was delighted and very proud! Show was really entertaining and we hung out and spent a pleasant time. Dog Revue was filmed for broadcast in the TV show "Home Pets" on HTV1. The TV show should be on Saturday, 24.03.2012. at 10:10 AM. On Saturday, on the location KOSSP Zagreb (Polygon sporting clubs for training and working dogs) held Breeding examination. 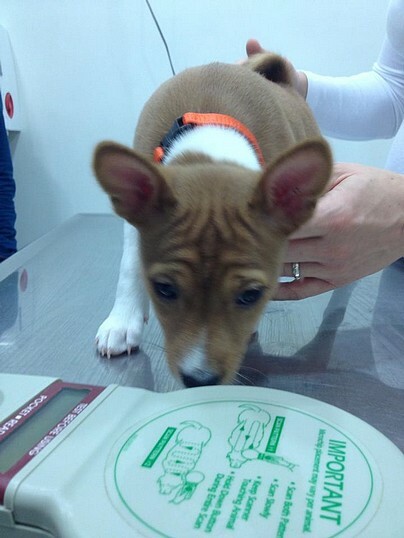 Asali has got excellent opinion, praise, and most importantly - a license for breeding. CACIB ZAGREB I i II ~ We are eagerly awaiting this exhibition in order to have the opportunity to close the Croatian Junior Championship. This has already accomplished the first day when Asali got title excellent, JCAC, JBOB and BOB and only title JCAC was enough to become CRO JCH! The other day we repeated the previous and went back home with great titles, again excellent, JCAC, JBOB and BOB. This was the last show in Junior class for Asali. From now we will enter the exhibition in a group of adult dogs, where we will be pursuing the CAC and CACIB titles which we are particularly looking forward and to be able to hunt the "real" championship! 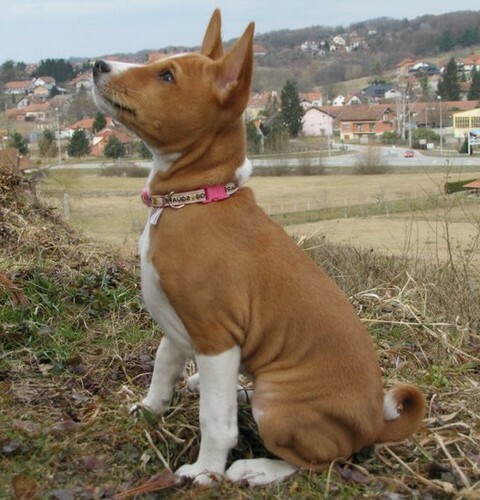 I also hope that we will soon meet a lot more on basenji in Croatian exhibitions because there are three beautiful puppies from Slovenia that came to Croatia. 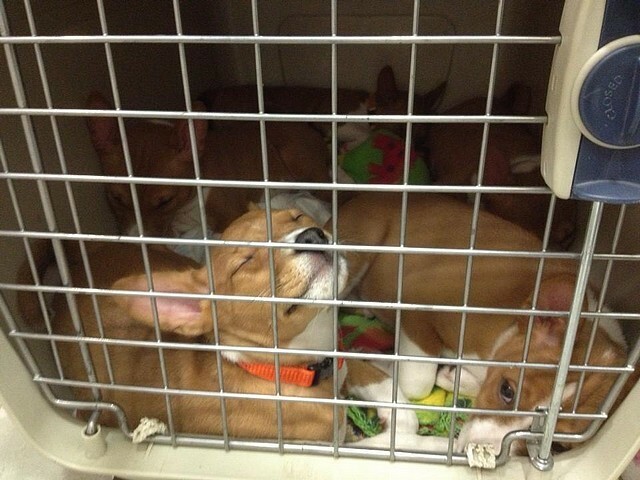 They are from the first litter in kennel Anansi of my dear friend Tisa Novak. 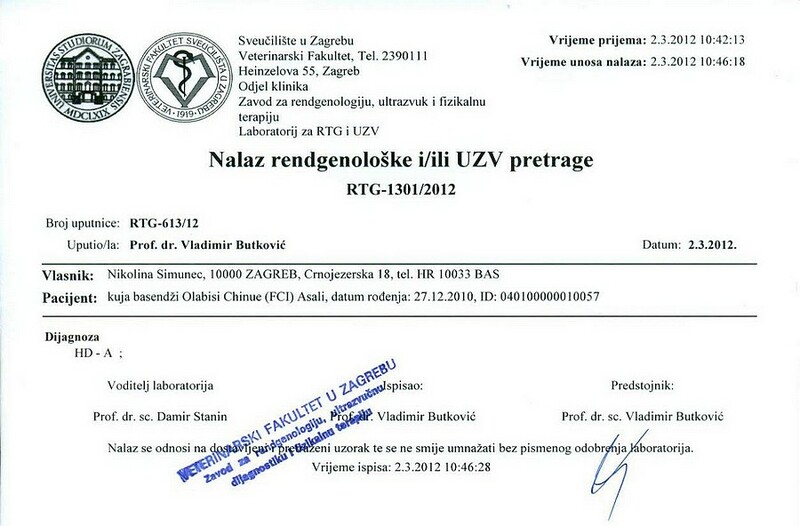 Two of three of them, male and female, will live in Zagreb, and the third (male) in Trogir. 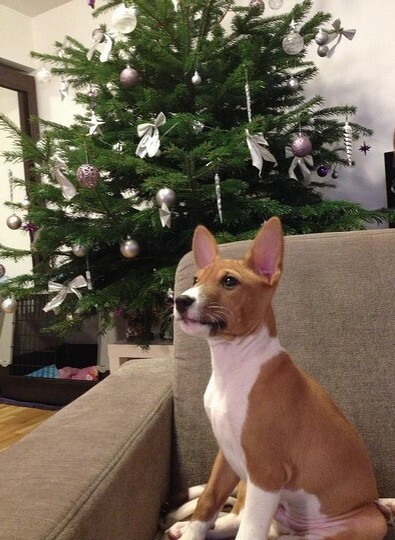 In addition to a litter from Slovenia we have Croatian one in the house! 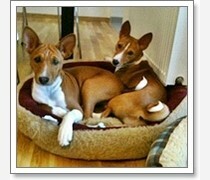 In 2011 Croatia was received the first Basenji litter after a few years in the kennel From Mapabebe. We wish a welcome to Mapabebe male that arrived in Zagreb. 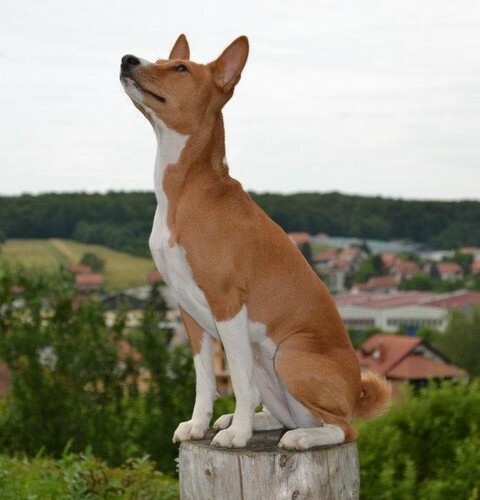 We look forward to the new basenji, wonderful companionship, long walks in which we have already begun to enjoy. 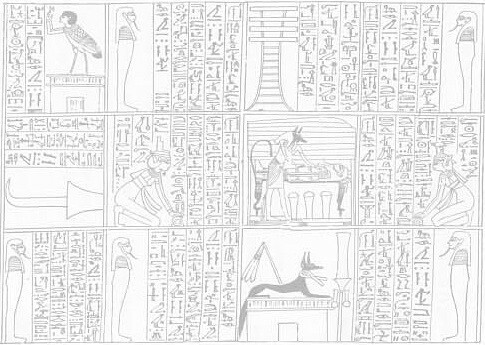 Images can be viewed in the Gallery. Welcome! ... you have been waiting for! We have done one of extremely important medical tests to us but not obligatory for the breed to make sure the puppies will be healthy. 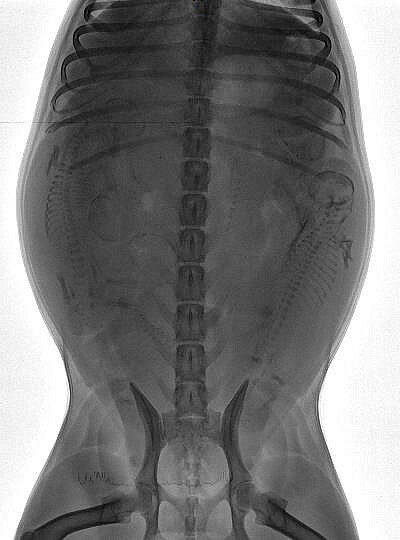 Asali had done X-ray of the hips in our veterinary clinic "Buba" and we carry a picture to Veterinary Faculty in Zagreb to get a result. The hips were evaluated with the highest rating possible: HD - A so we were quite happy. Second, from a total of four medical tests are behind us. Now we are waiting for an eye and thyroid tests. This we'll do in Ljubljana several months from now. 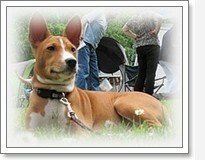 I sincerely hope that this article will help all dog lovers to learn more about the Basenji breed. 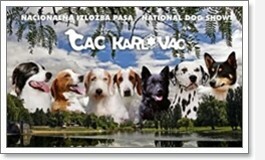 CACIC LJUBLJANA I and II ~ Two days at the International Dog Show in Ljubljana, Slovenia, was very successful for us. First day Asali got her third Best Junior, JCAC title (under Judge Miroslaw Redlicki, Poland) and became Slovenian Junior Champion (SLO JCH). 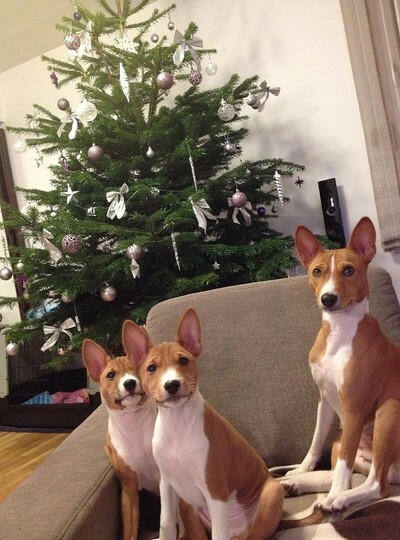 That day entered four basenjis, three in the Junior Class and one in Open Class. Second day was even more successful! 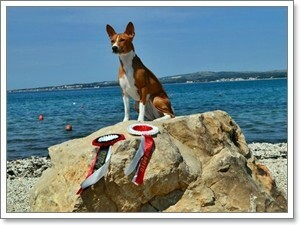 Asali won excellent 1, JCAC, JBOB, BOB, title Slovenian Junior Winner and CRUFTS Qualification (under Judge Igor Selimović, Croatia) competing with two basenjis. In BIS ring we weren't lucky enough but we had such a good time. Our first business card is finished. Thank you Robert Han from HIP Print Studio for made this happen !